by Dominick & Haff in 1880.
in Costa Mesa, CA. Website. See flatware patterns. 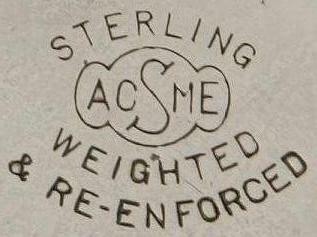 a well known gold and silver pen manufacturer, also making small sterling novelties. 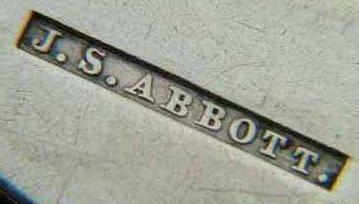 Changed name from Abbot to Abbott in 1828.
into the dry goods business in 1872. George Edward Adams and John C. Farnsworth. Successor to A.L. Dennison, Adams & Co.
Was in the parntership of Dennison, Adams & Co. with Aaron L.
with John C. Farnsworth 1846-1848.